Smok Priv M17 comes with built-in 1200mAh Priv M17 battery and 2ml Stick 17MM tank. The body is very slim with ergonomic design, providing you comfortable touch feel. 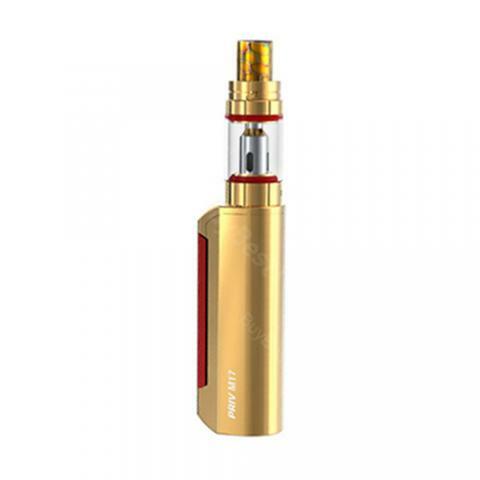 It is equipped with a big lateral fire key and smart LED Indicator, can clearly show you the working status of the mod. Smok Priv M17 comes with built-in 1200mAh Priv M17 battery and 2ml Stick 17MM tank. The body is very slim with ergonomic design, providing you comfortable touch feel. It is equipped with a big lateral fire key and smart LED Indicator, can clearly show you the working status of the mod, which is more convenient to operate. The integrated Stick 17MM tank features adjustable airflow system and Stick M17 coil,will bring you great flavor and incredible vaping power. • Quick Link: Stick M17 0.6ohm Dual Coil. Этот тонкий дизайн тела привлекает меня, я хочу мод, маленький, потому что я не хочу большой, мне это очень нравится! ¡su sitio web se actualiza muy rápido, le prestaré atención a su sitio web todo el tiempo!